The editors at American Art Collector Magazine are always seeking to be be a timely resource for the art world by highlighting artists in advance of their shows. I was delighted they featured me in this article announcing my show at Duncan McClellan Gallery in St. Petersberg, FL. 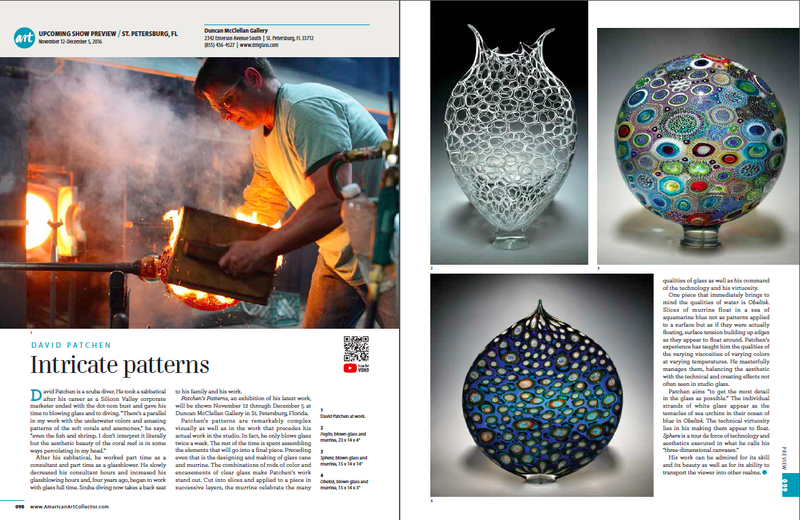 The writer managed to cover a great deal of ground in this spread; including inspiration, my evolution from the tech world to glass and the technical aspects of my work. You can read David Patchen; Intricate Patterns here.